In the US, many of us remember the Mercury Capri as a thinly disguised Mustang produced during the 1980's. The Capri nameplate left in 1986 as the 3rd generation Mustang lived on for years to come. The Capri name would appear again in 1991 on an entirely different car while the 3rd gen Fox Mustang was still in production. 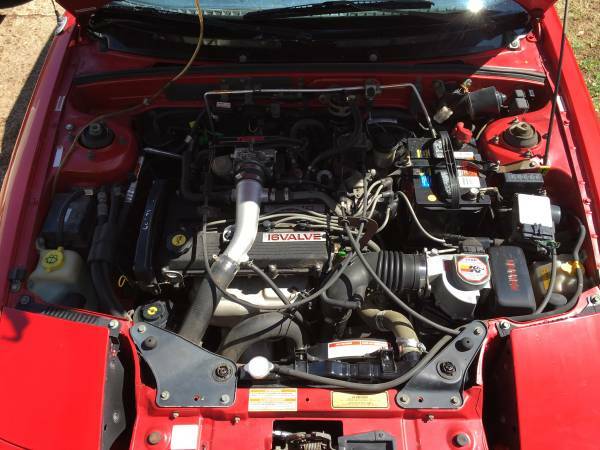 Find this 1994 Mercury Capri XR2 for sale in Eudora, KS for $2,500 via craigslist. Sharing most of its greasy bits with the Mazda 323, the 3rd generation Capri offered open air, budget motoring. It did not, however, share the macho looks or growly power plants found in its predecessor. At a time when Ford was moving its chips toward the front-engine/front-drive layout, the Capri, along with the Ford Probe, began to look like the future of the sports car. Many of Ford's sedan, coupe, wagon and van models had long since gone to FWD. A 16-valve turbocharged 4-cylinder was offered in the Capri's XR2 performance package. This was the same engine found in the legendary Mazda 323 GTX, but unfortunately the Capri did not receive its AWD option. The result was a 0-60 time of around 8 seconds and heavy understeer. Three years prior, this design might have been acceptable in its class, but its fate was already sealed. What was the XR2's biggest fault? It wasn't a Miata. The customers had spoken, and they decided that the front-engine/rear-drive layout was not dead. Drivers wanted a driver's car and a great many of them decided that a small roadster was best enjoyed like its British and Italian ancestors. Pony car buyers made the same statement, causing Ford to ditch the Probe and continue using the same old Mustang Fox platform well into the 2000's. Interesting car for me, since we never got these up here in the Great White North. In fact I had never even heard if them until a few years ago. It looks like this seller owns two of them. Too bad about the windshield on the Red one. I wonder if that screen is common to anything else? This is really interesting. My barber had a non turbo model for years. Never seen a hardtop one before. 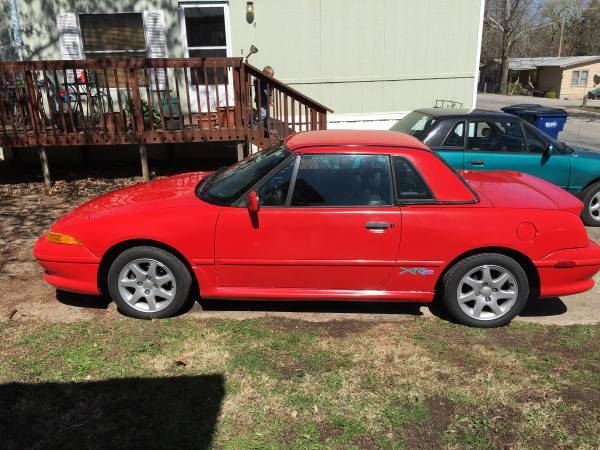 I kinda want it but have too many cars as is. 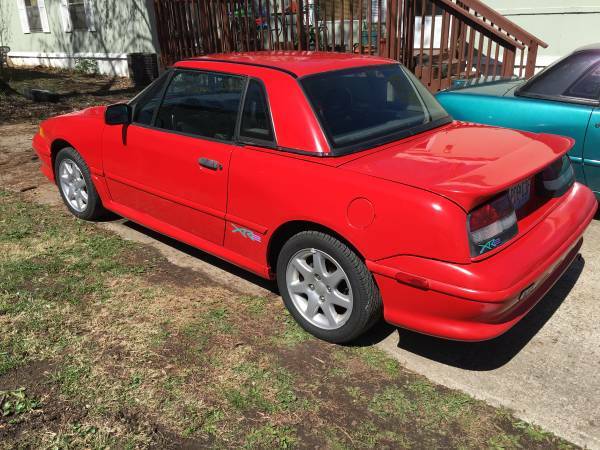 "See another Miata victim? email us here:"
These suffered from self-inflicted wounds. 1994 called, it wants its badges back - are you trying to tell me we need one for "turbo"? 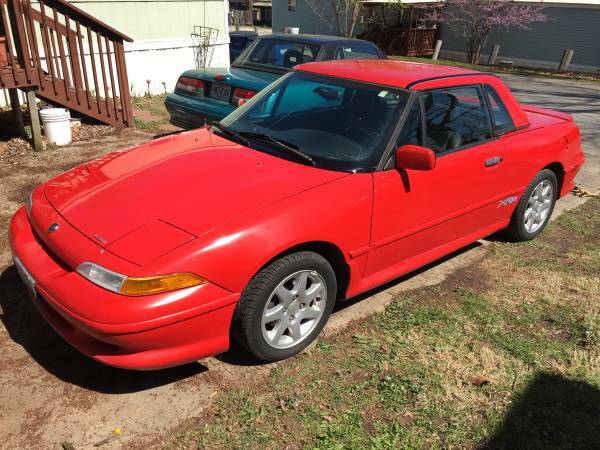 With the hardtop it looks like it's trying so hard to be a first-gen MR2. But then it also somehow reminds me of a Suzuki X90. Poor little guy. It wasn't a complete turd, but it also wasn't truly competitive.